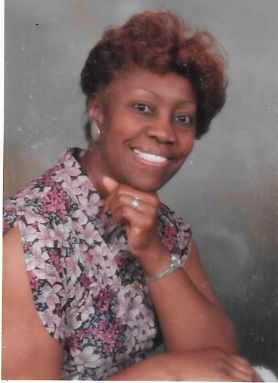 Obituary for Lizzie Pearl Johnson | Minor-Morris Funeral Home, Ltd.
Lizzie P. French Johnson, age 77 of Joliet, Illinois passed away Tuesday, April 2, 2019 in Lockport, Illinois at her home with her husband, Robert Lee Johnson by her side. Lizzie was born March 24, 1942 in Americus, Georgia. She was the daughter of the late Ida Mae French and Lonnie Wright. She proudly worked at 3M and Western Electric. She enjoyed having garage sales and shopping. Liz also accepted Christ Jesus at an early age. She is preceded in death by her parents, Ida Mae French and Lonnie Wright; brother Marvin French and John French; sister, Vonnie Jones. She is survived by her husband, Robert Lee Johnson; siblings, Betty Mae French, Charlie Mae French-Harris, Lena Mae French, Laurine French-Foster and Ella Mae Tate and one brother, Charles French. She is also survived by a host of family members and friends and a special niece, Shantae Renee Tate. Memorial service will be held on Saturday, April 13, 2019 at 3:00 PM at the funeral home.